All Pilesgrove homes currently listed for sale in Pilesgrove as of 04/20/2019 are shown below. You can change the search criteria at any time by pressing the 'Change Search' button below. If you have any questions or you would like more information about any Pilesgrove homes for sale or other Pilesgrove real estate, please contact us and one of our knowledgeable Pilesgrove REALTORS® would be pleased to assist you. "Available for sale. Block 21.08 Lot 2 is approx. 80.03 acres located on the North side of Auburn Road and on the east side of the New Jersey Turnpike. It has preliminary approval for 46 Single family building sites, a large open space parcel and 2 detention basins. All residential building lots exceed the minimum size of 39,400 SF. Call for all additional information." "Beautiful! 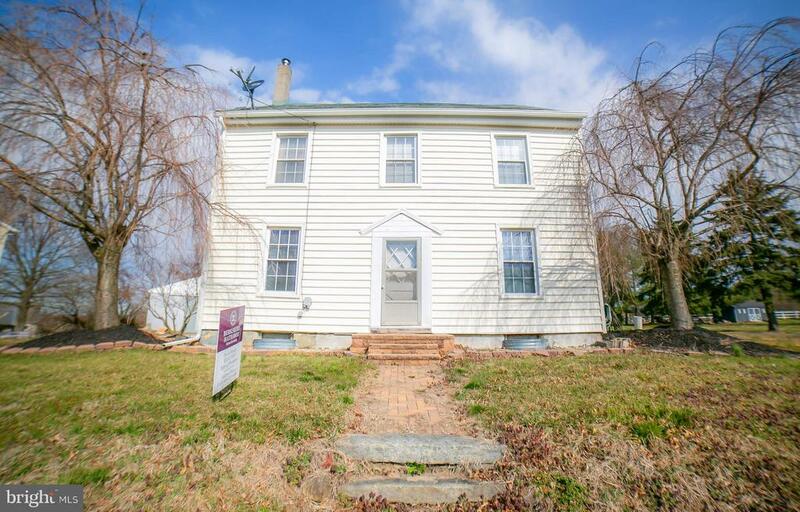 Great location in desirable Salem County. Many options such as stately/executive home(s), horse farm/training facility location, your own family's estate, etc. This parcel has 840+/- feet of road frontage on Woodstown Daretown Rd. Minutes from Rt55, Rt295, NJ Turnpike, Delaware Memorial Bridge or Commodore Barry Bridge. Buyer responsible for all permits, perc(s), approvals and rollback taxes, if applicable." "Perched high up on a hill with 360 views overlooking rolling hills is a beautiful custom luxury home surrounded by 70.99 acres with a stocked pond. As you enter this gracious home you are welcomed by a sweeping staircase and incredible two story sunken great room with wall of paneled custom built-ins with TV and a wall of windows and French doors which lead out to the magical back yard and pool area, custom paneling with built-in tv and magnificent fireplace. The entryway is flanked by a dining room and cozy living room. The gourmet kitchen, which overlooks the great room, has custom European cabinetry with accent lighting, high-end appliances: subzero Refrigerator, built-in cook top, built in double ovens. An over-sized L-shaped work space and additional island provide the gourmet chef plenty of space to prepare fabulous meals. Off of the kitchen is a beautiful octagon shaped sun room with floor to ceiling windows and views of the tranquil landscape. The laundry room, also off the kitchen, contains an elevator shaft studded from the basement all the way up to the master suite! On the first floor is also a first floor en-suite which could be your first floor master or wonderful guest suite. The upstairs is where you will find the incredible master bedroom ensuite with sitting area, sumptuous master bath and wonderful walk-in closets! French doors lead you out to your fabulous French doors lead you out to a large octagon balcony so you can enjoy panoramic views of your own spectacular property. The two other bedrooms are adjoined by a bathroom and one of the bedrooms has a Juliet balcony with the most incredible custom wrought iron railing which is a true masterpiece. The luxury continues when you walk outside to your patio with custom in-ground gunite pool with spa/hot tub, as you enjoy days basking in the sun or quiet evenings enjoying the lovely gardens and views for miles! 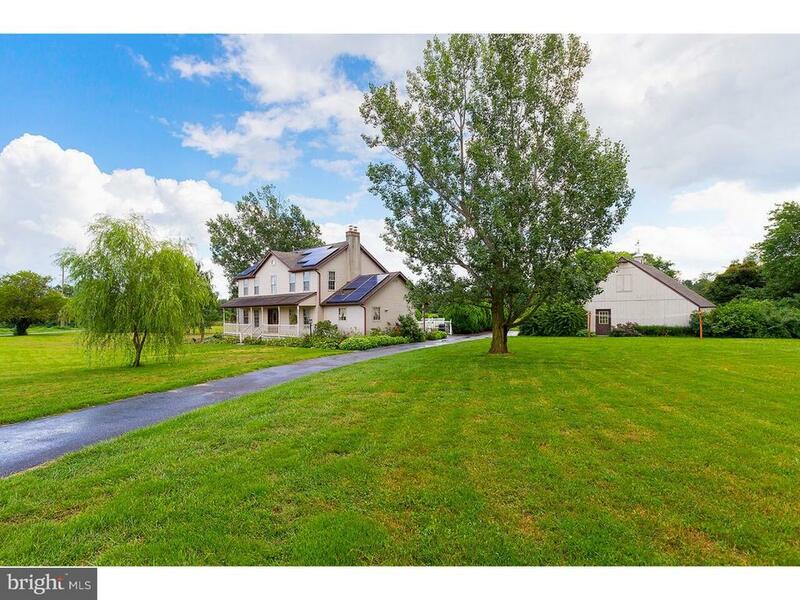 45 minutes from Philadelphia, 30 mins from Wilmington, just over an hour to the jers"
"Looking for a new upgraded home with land and barn to bring the animals? Look no further! This property really has it all! Only 7 years young, this home was custom designed and built in 2012 sitting on 6.2 acres and is farm assessed with low taxes and GAS heat! The house features 4 great sized bedrooms and 3 full baths with a finished basement! Easily manageable and convenient property set up, completely fenced in property, and has a detached 2 car garage plus barn. Barn features custom 3 stalls with sliding doors, Dutch doors to paddocks, feed area, tack room, separate electric, concrete isle, and walk upstairs to the huge hay loft. Property backs to neighboring 75+ acre horse farm that is preserved, so it will always be a farm! (There is about an 8ft gap between fence lines). The open concept home features upgrade kitchen with tile floors and backsplash, stainless steel appliances, eat in kitchen area, living room with beautiful stone columns and arches. Family room is featured just off the kitchen in the back of the house. The dining room and living room has gorgeous pergo flooring, crown molding and tray ceiling. Master bedroom is on one side of the home with a huge walk in bathroom with double sinks, shower/soaking jaccuzi tub, and walk in closets! Large windows overlook the horse pastures! The second largest bedroom is also on this side on the home with a full bath. Two other bedrooms and a full bath with ample closet space are together on this floor on the other end. Main floor laundry with inside access to the oversized attached garage! Great mud room area for coming in from the barn! Basement is finished for extra living space. Also features unfinished area for more storage room and walk upstairs with bilco doors. When you think that is it, there is a whole second floor to this home just waiting to be finished! Prewired and plumbing access is in place! Would make a great bonus area or office! Outside area is second to none, custom EP Henry patio and paver "
"Looking for a new upgraded home with land and barn to bring the animals? Look no further! This property really has it all! Only 7 years young, this home was custom designed and built in 2012 sitting on 6.2 acres and is farm assessed with low taxes, and GAS heat! The house features 4 great sized bedrooms and 3 full baths with a finished basement! Easily manageable and convenient property set up, completely fenced in property, and has a detached 2 car garage plus barn. Barn features custom 3 stalls with sliding doors, Dutch doors to paddocks, feed area, tack room, separate electric, concrete isle, and walk upstairs to the huge hay loft. Property backs to neighboring 75+ acre horse farm that is preserved, so it will always be a farm! (There is about an 8ft gap between fence lines). The open concept home features upgrade kitchen with tile floors and backsplash, stainless steel appliances, eat in kitchen area, living room with beautiful stone columns and arches. Family room is featured just off the kitchen in the back of the house. The dining room and living room has gorgeous pergo flooring, crown molding and tray ceiling. Master bedroom is on one side of the home with a huge walk in bathroom with double sinks, shower/soaking jaccuzi tub, and walk in closets! Large windows overlook the horse pastures! The second largest bedroom is also on this side on the home with a full bath. Two other bedrooms and a full bath with ample closet space are together on this floor on the other end. Main floor laundry with inside access to the oversized attached garage! Great mud room area for coming in from the barn! Basement is finished for extra living space. Also features unfinished area for more storage room and walk upstairs with bilco doors. When you think that is it, there is a whole second floor to this home just waiting to be finished! Prewired and plumbing access is in place! Would make a great bonus area or office! Outside area is second to none, custom EP Henry patio and paver"
"Looking for a new upgraded home with land and barn to bring the animals? Look no further! This property really has it all! Only 7 years young, this home was custom designed and built in 2012 sitting on 6.2 acres and is farm assessed with low taxes and GAS heat! The house features 4 great sized bedrooms and 3 full baths with a finished basement! Easily manageable and convenient property set up, completely fenced in property, and has a detached 2 car garage plus barn. Barn features custom 3 stalls with sliding doors, Dutch doors to paddocks, feed area, tack room, separate electric, concrete isle, and walk upstairs to the huge hay loft. Property backs to neighboring 75+ acre horse farm that is preserved, so it will always be a farm! (There is about an 8ft gap between fence lines). The open concept home features upgrade kitchen with tile floors and backsplash, stainless steel appliances, eat in kitchen area, living room with beautiful stone columns and arches. Family room is featured just off the kitchen in the back of the house. The dining room and living room has gorgeous pergo flooring, crown molding and tray ceiling. Master bedroom is on one side of the home with a huge walk in bathroom with double sinks, shower/soaking jaccuzi tub, and walk in closets! Large windows overlook the horse pastures! The second largest bedroom is also on this side on the home with a full bath. Two other bedrooms and a full bath with ample closet space are together on this floor on the other end. Main floor laundry with inside access to the oversized attached garage! Great mud room area for coming in from the barn! Basement is finished for extra living space. Also features unfinished area for more storage room and walk upstairs with bilco doors. When you think that is it, there is a whole second floor to this home just waiting to be finished! Prewired and plumbing access is in place! Would make a great bonus area or office! 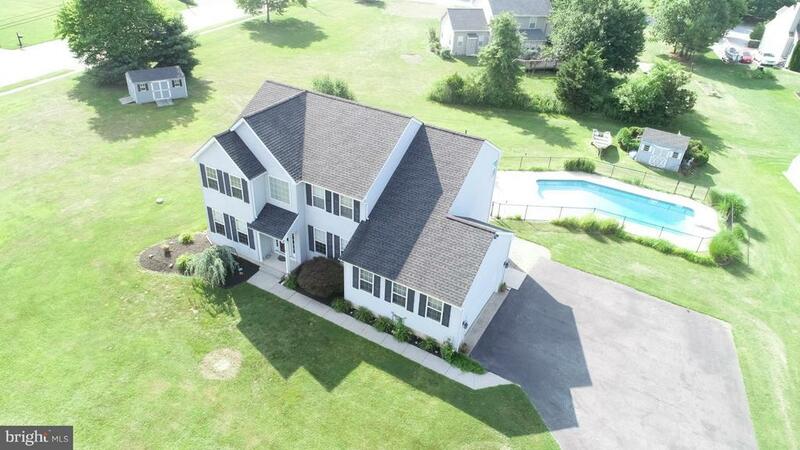 Outside area is second to none, custom EP Henry patio and paver"
"Don't miss this gorgeous custom home in Sharptown in the the Woodstown-Pilesgrove School District which sits off the road framed by mature trees with wooded backdrop. Home boasts a new granite kitchen with island, stainless steel appliances, pantry and double oven. Formal Living Room opens to deck. First Floor Master Suite with marble whirlpool bath and walk-in closet. Spacious Rooms on Second floor share hall bath and one has a Sitting Room which can be used as a Study. 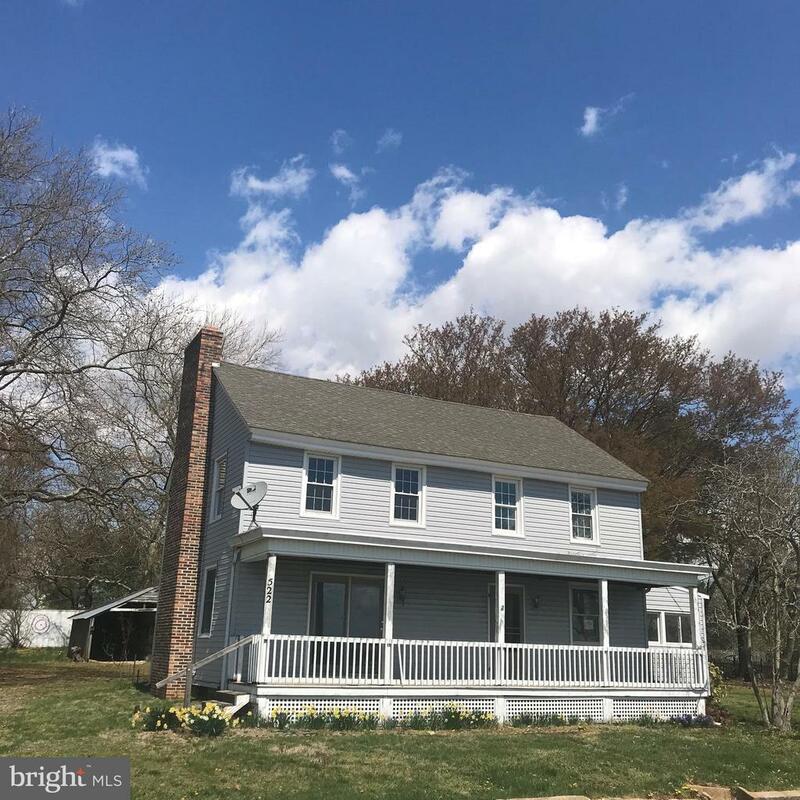 Great Room with brick fireplace and french doors open to deck overlooking back yard which backs to a stream off of Salem River and has 2 road frontages! Family Room and 4th Bedroom are on the lower level in the finished basement which walks out to a patio through atrium doors. Basement has a french drain and is plumbed for 3rd full bath. The roof and hardwood floors are new and home is freshly painted." "Welcome to the Woods at Laurel Hills.. Live above your expectations in this completely redone, incredible home on a partially wooded acre lot. Enter the stone and stucco home through the grand two- story foyer flanked by a living room and spacious dining room with wains-coating and crown molding. The main floor continues with an open floor plan from the huge great room, with a fireplace, a breakfast room with sliding glass doors to a raised paver patio, and a huge kitchen. The kitchen boasts granite counter tops with a tile back splash, and stainless appliances, including a double oven. There are gleaming hardwood floors throughout this spectacular home. Upstairs are 4 bedrooms, including a master with an en-suite bathroom and two walk in closets. The second floor laundry room is an added convenience. The full finished basement ,with a third full bathroom, provides additional living space and/or tons of storage. Located close to NJTPK, Rte 295 and area bridges, commuting is a breeze. Located in a wonderful community, this truly is a stunner.Make an investment in living and come see this home today." 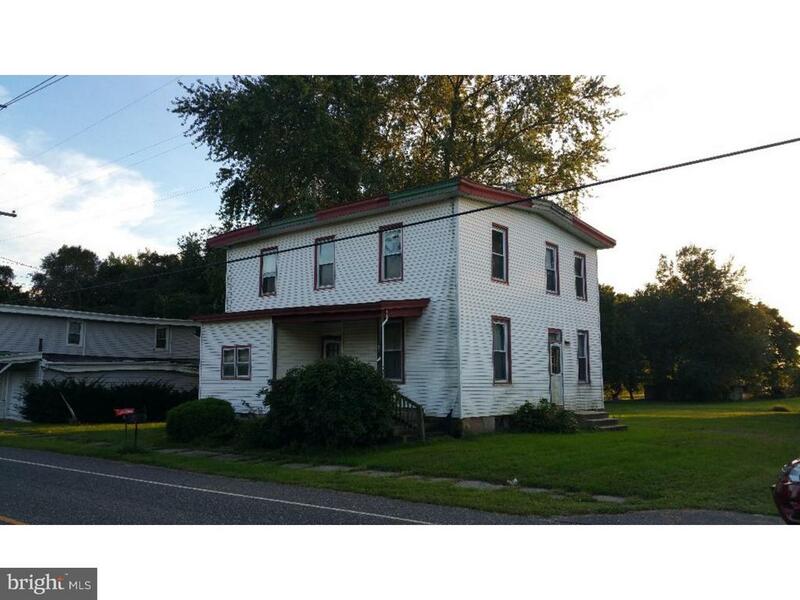 "Stately Bi-Level on 5.64 Acres ( includes lot 17 which consist of 2.60 acres). 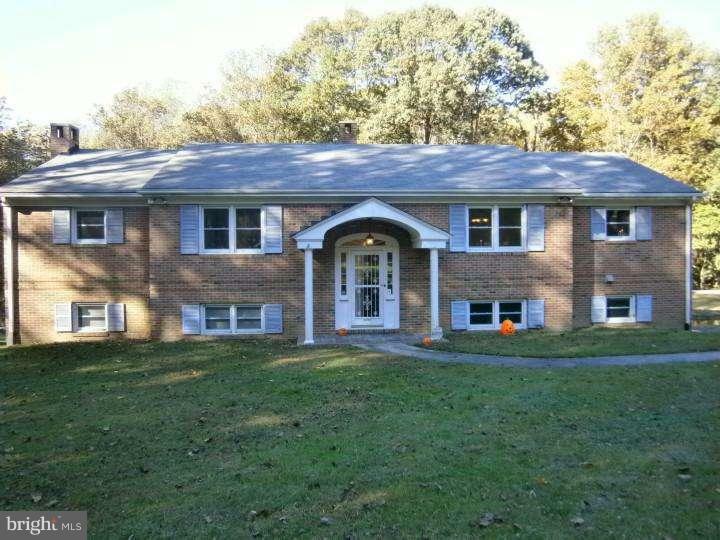 Clear and wooded grounds with an additional one car detached oversized garage plus barn. Spacious rooms thru-out. Lovely eat in kitchen with breakfast room. Formal living room with built in cabinets and bow window. Formal Dining Rm with large bow window overlooking the wooded grounds. Plus a lower level Family Rm with stone fireplace. Screened in Sunroom with built in grill . Andersen windows. Back stairway also leads to Kitchen from lower level. Full access stairs to floored attic for extra storage. Master Bedroom Suite with a 4 x 5 walk in shower,double sink, cedar closet. Must see to appreciate. Make your appointment today!" 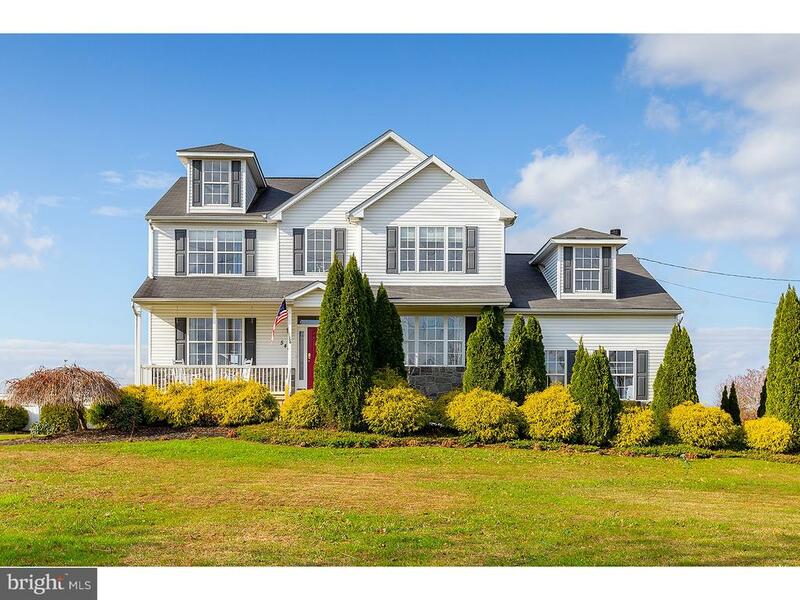 "Don't miss out on this beautiful 4 Bed, 2.5 Bath, Colonial situated on a 1.10 acre lot with the most beautiful sunsets. Pride of ownership is evident as you pull up to this home with it's nicely landscaped grounds. Down the long asphalt driveway to the side entry 2 car garage. You will love the covered front porch relaxing in a rocker in the morning watching the sunrise with the morning cup of coffee. Step inside to the 2 story entry foyer with it's newly laid cherry hardwood floors. This area opens through the French doors to the convenient home office. The open Living and Dining rooms are separated by a 1/2 wall and pillars. Perfect when hosting the Holiday get-togethers. The Dining room also features upgraded Cherry hardwood flooring, circle top windows and a bumped out bay window. The Kitchen features 42 inch white cabinetry, subway tile back splash, tile flooring and a slider to the rear deck. Perfect spot to relax after dinner, watching the most beautiful sunsets. The Kitchen is totally open to the spacious Family room that features raised ceiling, circle top windows and a stone front wood burning fireplace. Perfect spot to snuggle up to on those cold Winter days. The 1st floor also features a convenient powder room and laundry room that also has inside access to the 2 car garage. The 2nd floor features 4 super-sized Bedrooms and 2 tiled Bathrooms. The main Bedroom suite features double entry doors, cathedral ceiling, 1 double closet, 1 walk-in closet, and a relaxing Bathroom that features double sinks, shower stall and Jacuzzi type jetted tub. Perfect spot to relax after a stressful day at work. Don't forget the full walkout Basement with 2 additional Game rooms and a large area of unfinished Basement to house all of your storage needs. A bonus feature is the slider door to walk straight out to the rear patio and fully fenced in back yard with 6 ft. vinyl fencing. The grounds are a breeze to take care of with the 17 zone irrigation system. Behind the fenced y"
"Motivated Seller! 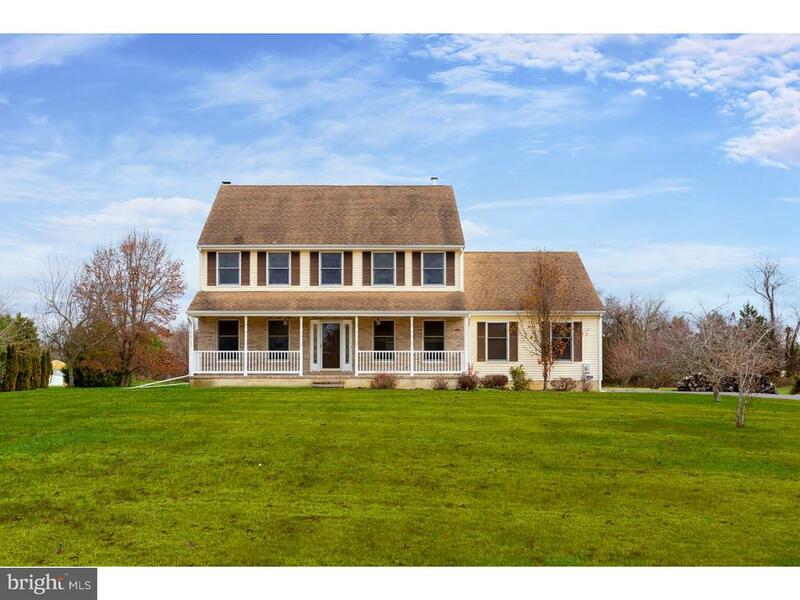 Enjoy country living in this beautiful 4 bedroom, 3 bath custom home on 5.05 acres with a fenced-in grassy pasture. Enter the home from the covered front porch that leads to a center hall. Continue to the spacious and sunny living room and dining room with lots of windows and a ventless fireplace. This is the perfect place for relaxing and spending time with family and friends. Next discover the bright entertainment room with walls of windows, a wet bar and vaulted ceiling that looks out to the amazing salt water in-ground swimming pool and patio. Also on the first floor is the large, eat-in kitchen with a center island, lots and lots of beautiful cabinets and all appliances included. There's a 42x29 recreation/game room, an exercise room (or office - many options), a roomy and comfortable bedroom and a full, updated bathroom as well as a convenient laundry/utility room. The second floor features a MASTER BEDROOM RETREAT with a sitting area. There's plenty of room to make an office, dressing area or reading nook. The updated, spacious master bath has a large whirlpool tub, a separate shower and two separate sinks and vanities. Two sizable bedrooms and another large bathroom complete the second floor. You'll also appreciate the two-zoned HVAC! The detached, over-sized 2-car garage has room for extra storage. This property has it ALL! You'll be just a short distance from charming, historic downtown Woodstown yet conveniently located with easy access to the Delaware Memorial Bridge, Commodore Barry Bridge, I-295, I-95, NJ Turnpike and shore destinations. The school system is highly regarded. There are 2 run-in sheds; one has a tack and hay storage area and up to 4 horses are permitted. You and your horses will love it. Make your appointment TODAY!" 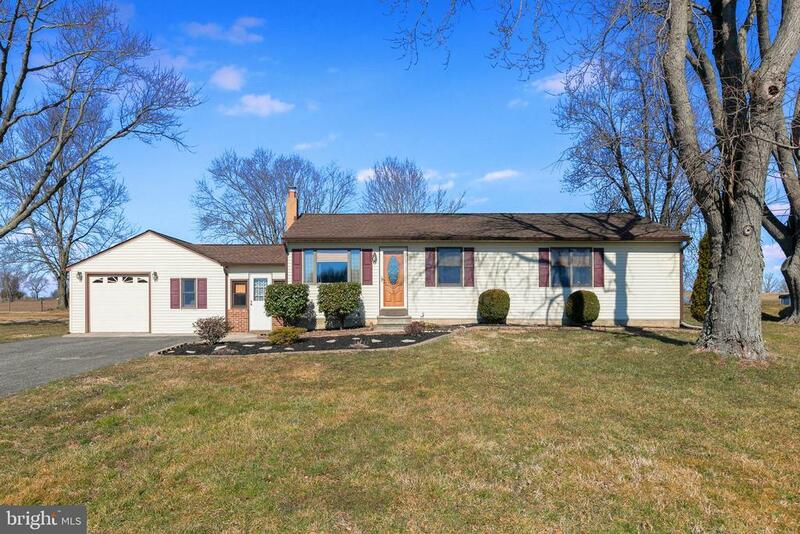 "Beautifully well-maintained home situated in a sought-after neighborhood in the Woodstown-Pilesgrove School District. Featuring a marble gas fireplace and hardwood floors that continue into the updated kitchen with newer stainless steel appliances, cherry cabinets and custom granite counter tops. Enjoy your meals in the formal dining room, casual kitchen dining area or outside on the deck overlooking the large in ground pool boasting a newer liner, pump and cover. In addition to a formal living room/office space on the main floor and four large bedrooms, including a master suite, upstairs with newer neutral carpets, this home has a newer heater, AC, hot water heater and roof with a 50 yr transferable warranty! Schedule your showing today!" 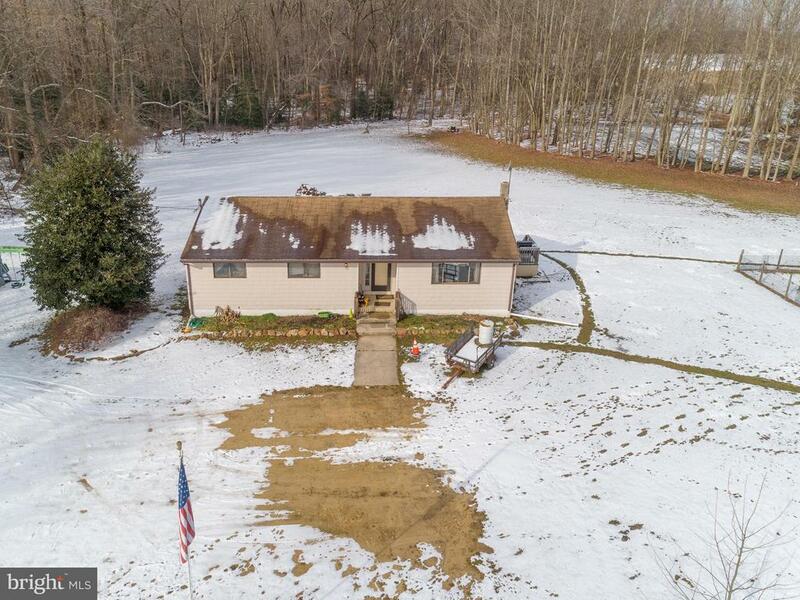 "Beautifully maintained and updated 2478 sq ft colonial on 2.37 Acres on the Cul-de-Sac off of Two Penny Run in Auburn Farms in the Woodstown-Pilesgrove School district is in the country but less than ten miles to the NJ Turnpike and convenient to Philadelphia and Delaware! This sunny home boasts new granite counter tops, back splash and kitchen floor with Breakfast Area, Formal Living and Dining Room and Family Room with brick wood burning Fireplace. Up the beautiful oak stairs, the Master Suite has a huge walk-in closet, master bath with tile and whirl pool tub and a spacious Sitting Room which could be used as a 4th bedroom, Study, or Exercise Room. The basement with french drain and 2 sump pumps and workshop can easily be finished and the over sized 2.5 side entry garage has 3 overhead doors. The street has natural gas and some piping is in house for easy conversion. If you love the outdoors, you will enjoy the front porch, back deck and gorgeous view all around the house on this premium clear corner lot." "The best of town and country living awaits with this large custom ranch style home on over 4.5 acres. Located in a nice neighborhood surrounded by preserved farmland, you have it all. This home is completely handicap accessible and includes two lifts(one for the basement stairs and one for the master bedroom). The large full bathroom is also handicap accessible with two tubs with soothing whirlpool jets. This home also boasts a front porch and two back decks to watch the seasons unfold. Enter the foyer that is flanked by French doors that lead to a huge dining room. Behind that is the spacious kitchen with center island and a sunny breakfast nook looking out over the huge backyard. There are three bedrooms on one side and a laundry/mudroom, powder room and fourth bedroom on the other side of the home. The full, high, dry basement is great for storage or could be finished for additional living space. There is also a back shed and an attached two car garage. This home has solar panels and extremely low utility costs. Make an investment in living and come see this home today!" "Attention builders, developers, investors, farmers and families who wants a nice piece of land with a home on it! 17.63 acres of land in Pilesgrove with a 3 bedroom, 2 bath house and a large barn. 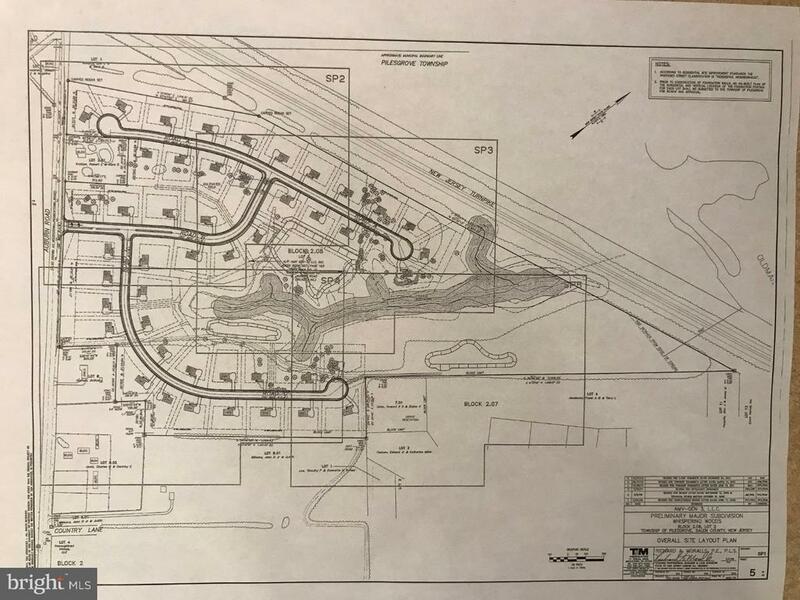 Inquire with local zoning office regarding subdivision for new single family homes. This is a great piece of land. Portion of the land is located on wetlands but still plenty of land for new development. Being sold in as as condition. Current tenant is on month to month lease. Try to subdivide it and build homes or build your own dream home on a beautiful secluded piece of land." 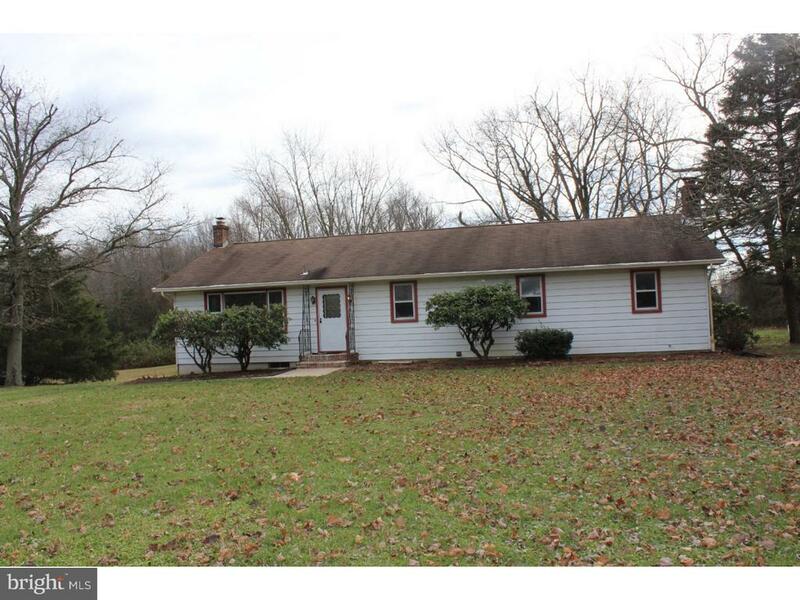 "Cozy 3 bedroom, 1 full bathroom ranch style home in rural Pilesgrove Township!! Surrounded by preserved farmland! Enjoy beautiful sunsets and watching the horses or cattle grazing on the rolling pastures behind the home. Large eat in kitchen with lots of counter space, spacious family room with brick wood-burning fire place, living room is bright and features oak hardwood flooring, laundry room has been freshly painted and shelving added. Lot is .87 acres, 1 1/2 car garage with garage door opener, central air conditioning, ceiling fans, large patio for outdoor pleasure and viewing those spectacular sunsets, breezeway has tile flooring and a tongue & groove knotty pine ceiling , Andersen windows, pull down steps to attic with plenty of storage available. Woodstown/Pilesgrove School System! This home has been nicely taken care of and is move in ready!! 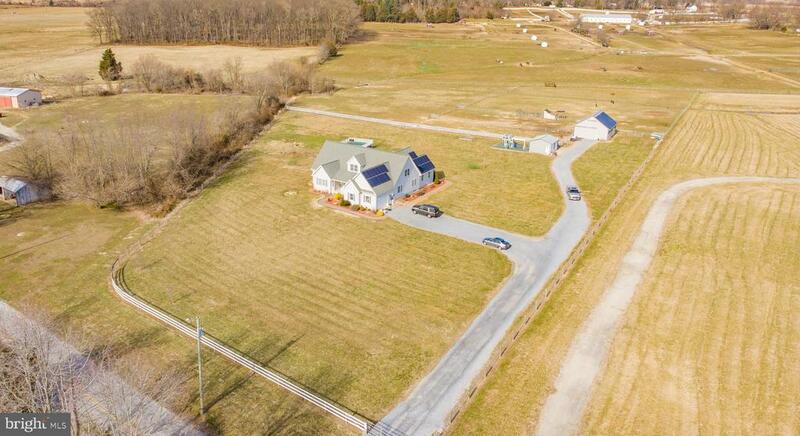 Call today for all the details..."
"This three story farmhouse on over 3.7 acres of land in Pilesgrove has all the space you need for your family and much more! The charming 4 bedroom, 2 bathroom farm house recently received new windows and siding in addition to the new well and water conditioning system. Kick back and relax with your feet in the sand by the fire pit and enjoy the property, which features a 50 foot by 35 foot shop/garage with 12 foot ceilings and electric service. The interior of the shop was recently renovated, complete with new windows, LED lighting, and insulation. In addition to the shop, there is also a 12 x 12 storage shed on the property, perfect for that lawnmower or ATV! With all that land, you might be surprised to know the property is convenient to Wilmington, Philadelphia, Route 295, and the New Jersey Turnpike." 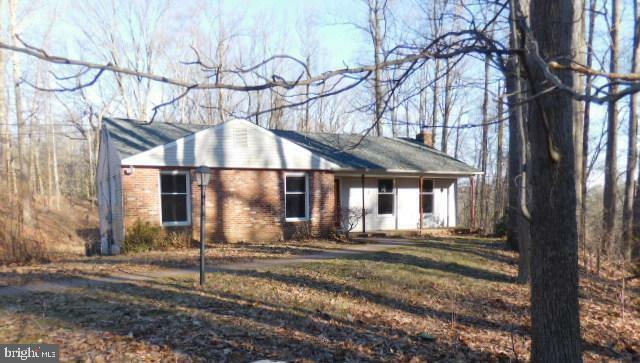 "A diamond in the rough awaits with this lovely ranch home on a gorgeous lot in Pilesgrove. The best in one floor living awaits with this 4 bedroom, 2 bathroom home. Enter into the spacious living room with lots of windows letting in tons of natural light. The large kitchen has a center peninsula and opens to the breakfast room. Down the hall is a huge bathroom and four bedrooms including a master bedroom with an en-suite bathroom. There is a full basement that is waiting to be finished with a brick fireplace and a flagstone hearth. The basement is walk out and has a lot of storage areas. Enjoy the serenity of this yard and community with an easy commute to Rte 55. Waiting for your personal touches. Come see this home today!" "Welcome home! Are you looking for a nice quiet setting? 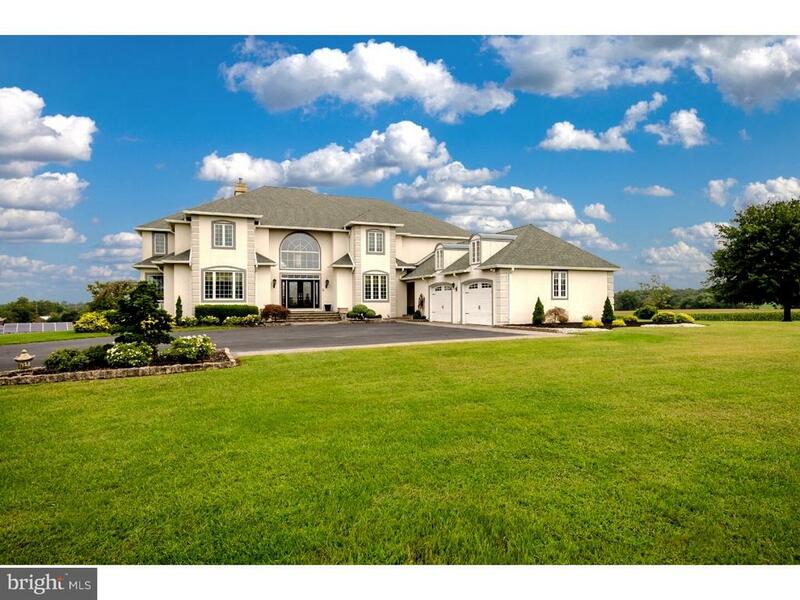 This home sits on 2+ acres of land, in cul-de-sac location. The home has been very well maintained over the years. There 2 full bedrooms and bathrooms on the first floor of the home. Living room through bedrooms have beautiful hard wood flooring. Livingroom has a fireplace. The lower basement floor is a ground level basement, there are 2 full bedrooms and a family room on this floor. The other half of the basement is unfinished with lots of room for storage"
"This large open concept home is situated on 2.3 private wooded acres! Property features 3 bedrooms and 1.5 bathrooms, spacious living roomwith double sliding doors to outside deck, wood burning fireplace, kitchen has plenty of counter space and cabinet space as well as center island, master bedroom has fireplace and a loft. This home has plenty off street parking and also offers 2 car attached garage! Schedule yourappointment now!" 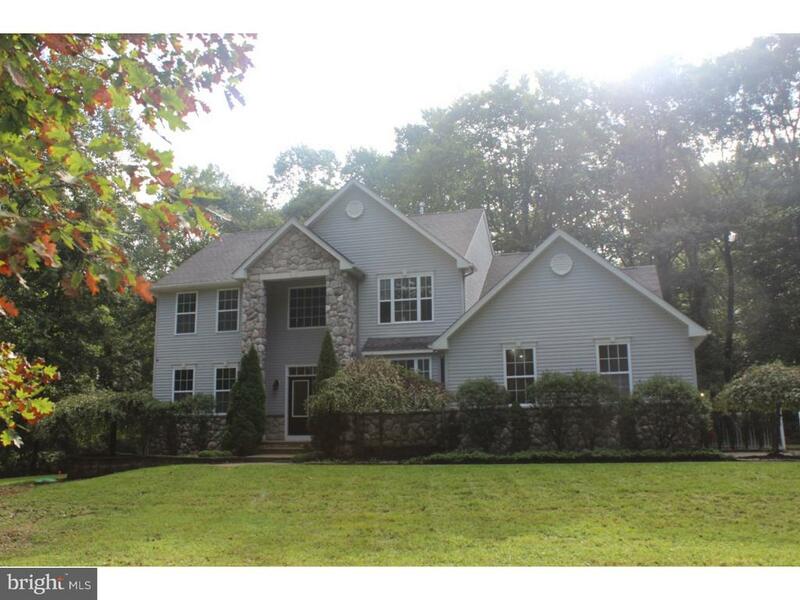 "Great opportunity to purchase this colonial style home on over a 3 acre lot. Home features 3 bedrooms, 2 baths, eat in kitchen with an island and plenty of cabinet and counter space, basement and about 2772 square feet of living space. Some updates and enhancements may be needed but this house is a great option. ***Property Disclosures - SINK REMOVED FROM 1st FLOOR BATHROOM. BASEMENT WINDOW BOARDED UP. SECTION OF STAIRWAY WALL TO 2nd FLOOR REMOVED. TWO FRONT BASEMENT WINDOWS BOARDED UP. ***"
"ATTENTION HISTORY BUFFS! 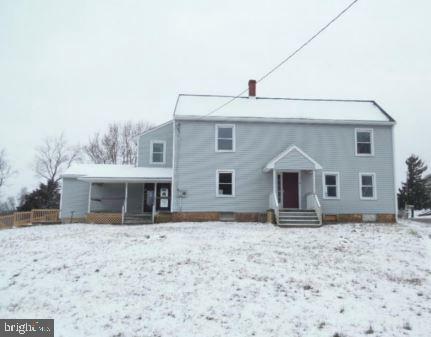 Situated on approximately 1/2 acre, this spacious 2100 sq ft home was the original post office in Yorketown and converted to a SFR with 4 bedrooms, Living Room, Dining Room, Family Room and at one time it was a duplex so there are 2 kitchens! It is being sold As-Is, buyer is responsible for any and all repairs, permits and certificate of occupancy." "Spacious Home for Sale in Pilesgrove, on 1.65 Acres of Property. The Interior with 1,986 Sq. Ft. of Living Space, Living Room, Dining Area, Kitchen, Three Bedrooms, One Full Bathroom, and Partially Finished Lower Level. 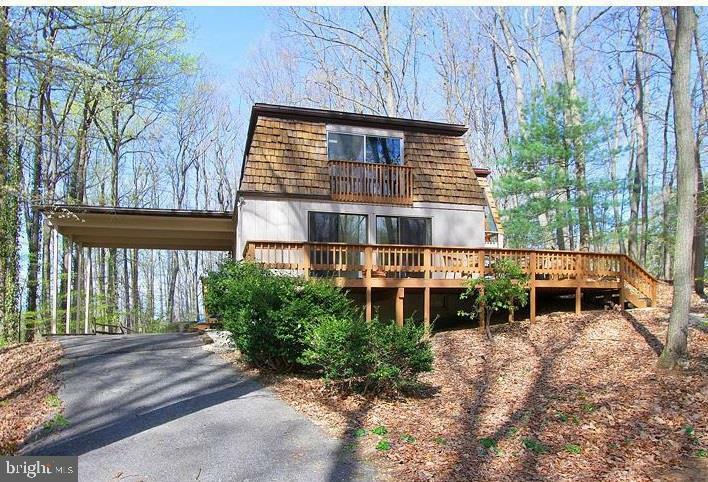 The Home Also Features a Large Back Deck, and Detached Workshop." "If a country setting is what you are looking for, then welcome home! This home has so much potential and at this price you can make it your own!"